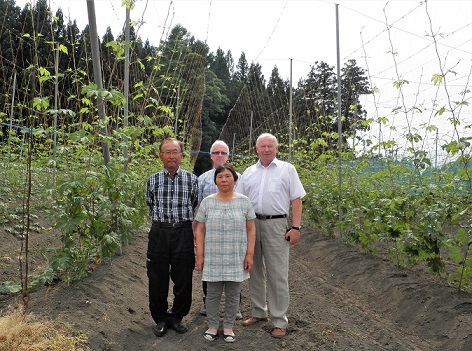 Representatives of TOP HOP Ltd. visited hop farmers in Nitoubukuro/Yamagata area at the beg. of June. Mr. Mori from Yamagata Hop Association and hop grower Mrs. Goto informed about specifics of hop growing in Japan and guided around the drying facility and storage.